Organized at Terre Haute, Ind., and mustered in September 27, 1861. Left State for Calhoun, Ky., October 1, and duty there until February, 1862. Attached to 14th Brigade, Army of the Ohio, to December, 1861. 14th Brigade, 5th Division, Army of the Ohio, to February, 1862. 1st Brigade, 2nd Division, Army of Mississippi, to April, 1862. 1st Brigade, 3rd Division, Army of Mississippi, to July, 1862. Helena, Ark., District of Eastern Arkansas, Dept. of Missouri, to December, 1862. 1st Brigade, 2nd Division, District of Eastern Arkansas, Dept. of the Tennessee, to January, 1863. 1st Brigade, 12th Division, 13th Army Corps, Army of the Tennessee, to February, 1863. 1st Brigade, 13th Division, 13th Army Corps, to July, 1863. 1st Brigade, 13th Division, 16th Army Corps, July, 1863. 1st Brigade, 13th Division, 16th Army Corps, Arkansas Expedition, to August, 1863. 1st Brigade, 3rd Division, Arkansas Expedition, to January, 1864. 1st Brigade, 3rd Division, 7th Army Corps, Dept. of Arkansas, to April, 1864. 2nd Brigade, 3rd Division, 7th Army Corps, to May, 1864. 2nd Brigade, 1st Division, 7th Army Corps, to July, 1864. Camp Morton, Ind., to June, 1865. SERVICE.--Ordered to Commerce, Mo., February 19, 1862. Siege of New Madrid, Mo., March 5-14. Siege and capture of Island No. 10 March 15-April 8. Riddell's Point March 17. Expedition to Fort Pillow, Tenn., April 13-17. Operations against Fort Pillow April 15-June 5. 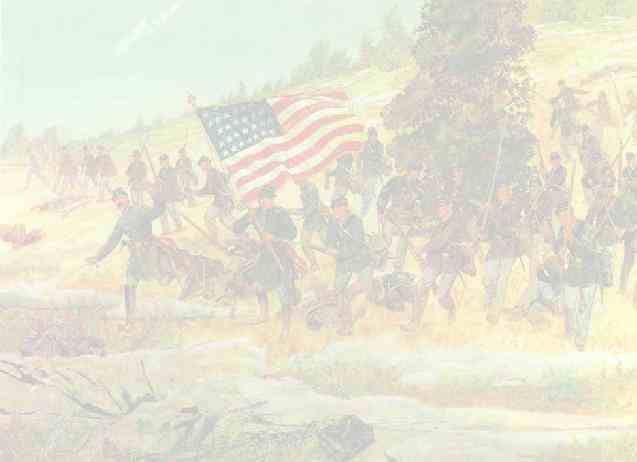 Capture of Fort Pillow June 5. Occupation of Memphis, Tenn., June 6. Expedition up White River, Ark., June 10-July 14. Adam's Bluff June 30. Grand Prairie July 6-7. Near Duvall's Bluff July 7. Aberdeen July 9. Duty at Helena, Ark., until August, 1863. Near Helena October 18 and 20, 1862. Expedition to Arkansas Post, Ark., November 16-21. Expedition to Yazoo Pass, by Moon Lake, Yazoo Pass and Coldwater and Tallahatchie Rivers February 24-April 8, 1863. Operations against Fort Pemberton and Greenwood March 13-April 5. Battle of Helena July 4. Repulse of Holmes' attack. Steele's Expedition to Little Rock August 11-September 10. Bayou Fourche and capture of Little Rock September 10. Pursuit of Marmaduke's forces October 26-November 1. Duty at Little Rock until March, 1864. Regiment reenlisted January 1, 1864. Steele's Expedition to Camden March 23-May 3. Elkins' Ford Crossing, Little Missouri River, April 3-4. Prairie D'Ann April 9-12. Camden April 16-18. Marks' Mills April 25. Jenkin's Ferry, Saline River, April 30. Duty at Pine Bluff and Little Rock until June. Veterans on furlough June-July. Volunteered for duty at Frankfort, Ky., during Morgan's operations, and invasion of Central Kentucky. Assigned to guard duty at Camp Morton guarding Confederate prisoners until June, 1865. Mustered out June 14, 1865. Regiment lost during service 2 Officers and 41 Enlisted men killed and mortally wounded and 5 Officers and 200 Enlisted men by disease. Total 248.